Saudi Arabia’s collapsed Saad Group, led by businessman Maan al-Sanea, has called a meeting with creditors in a last-ditch attempt to end a dispute over SAR16bn ($4.3bn) of claims, sources close to the matter said. Advisers to the group have asked creditors to meet in Dubai over the next few days, seeking a deal before Saudi authorities start auctioning, from March 18, billions of dollars of assets, including machinery, real estate, vehicles, belonging to Maan al-Sanea and his company, the sources added. 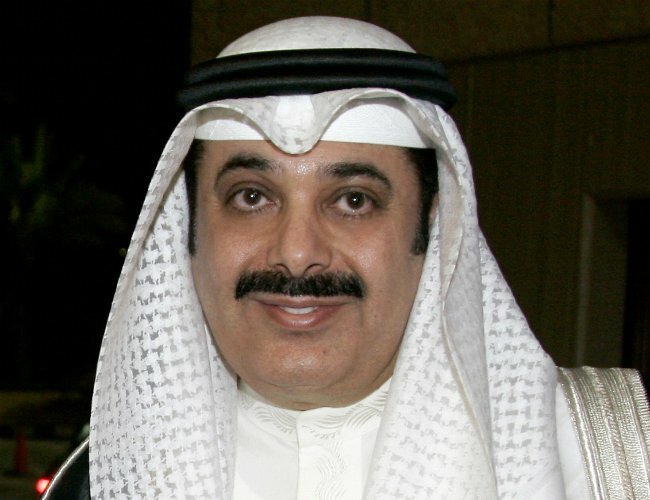 Maan al-Sanea, ranked in 2007 by Forbes as one of the world’s 100 richest people, was detained in Saudi Arabia’s Eastern province last October for unpaid debt. His case is separate from the dozens of Saudi businessmen and prominent figures who have been held in a corruption crackdown. Saad Group defaulted together with Ahmad Hamad al-Gosaibi and Brothers (AHAB) in 2009, in what was Saudi Arabia’s biggest financial meltdown, leaving local and international banks with unpaid debt of about $22bn. Advised by Reemas, a financial consultancy, Maan al-Sanea has asked some of Saad’s creditors to meet in order to appoint a steering committee to coordinate negotiations between lenders and debtors – Saad Group and Maan al-Sanea himself – ahead of a potential debt settlement, sources who have seen the term sheet that sets the framework for a deal told Reuters. The proposal, sent to creditors on March 7, concerns 42 eligible banks that have obtained final non-appealable judgements against Maan al-Sanea, Saad Group, or both, from a court in Saudi Arabia’s Eastern Province, the sources said, speaking anonymously due to the sensitivity of the matter. Local, regional and international banks eligible for a settlement have claims totalling SAR16bn, with international banks such as BNP Paribas and Citi , and regional lenders such as Mashreq, having claims of over SAR1bn each, the sources said. Some observers estimate Saad’s total debt to be between SAR40bn and SAR60bn. The information sent to creditors does not include a settlement offer, but lists assets that could be discussed as part of a potential deal. These include SAR12.3m in credit balances with Saudi banks and an additional SAR22.2m with other financial companies, the sources said. They also include a total of SAR1.57bn of shares in companies including National Commercial Bank, Kingdom Holding, Samba Financial Group and Riyad Bank; SAR3.21bn of real estate assets; stakes in four companies; and so-called “top-up assets” to be contributed by relatives of Maan al-Sanea, the sources said. They said Saad Group and Maan al-Sanea would provide a list of such “top up-assets” to the creditors shortly and that there was no indication in the term sheet of their value. A meeting between Saad Group representatives and creditors was scheduled for March 14, but to ensure full attendance it has been rescheduled for next week, two sources familiar with the matter said. Some creditors said the urgency to hold the meeting was to ensure the value of the assets at stake could be preserved better than under a liquidation process. But one source familiar with the matter said the Saad assets to be sold on March 18 as part of the liquidation process included items such as machinery and were not the principal assets used in Reemas’ proposal, which are real estate and equities, and that the outcome of the sale would not have any significant impact on the proposed settlement talks.